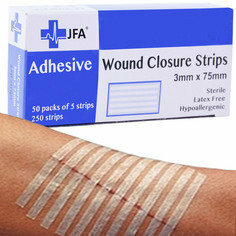 JFA Medical are continually looking for new and exciting first aid products. We want to make sure we have the very best for our customers. If you are an inventor that has created a new product but need our help to get it manufactured and marketed, come to us. We are in contact with multiple manufactures globally and are likely to be able to help. Please contact us to discuss further we are always open for conversation.